You likely know the name Doug Jones — he's the man behind the mask of countless monsters, aliens, heroes and demons ranging from Buffy to Hellboy to Falling Skies to Fantastic Four: Rise of the Silver Surfer to The Strain. 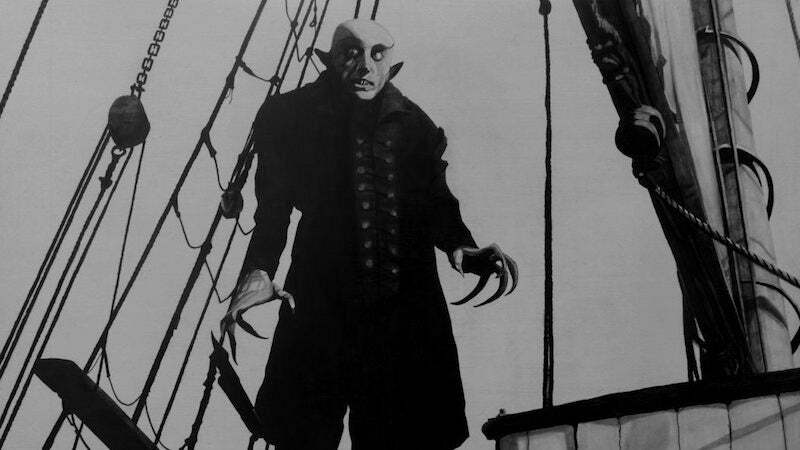 Now he's bringing his particular talents and his tall, thin frame to Nosferatu's titular vampire. Hiring Jones to play Count Orlock isn't the remake's only cool idea. Variety says that director David Lee Fisher is "creating a remix of the original film with a mixture of live-action combined with colorized digital backgrounds recreated from the original film". Trying to bring 1920s German cinematic expressionism into the 21st century? That could be very cool if done correctly. If done incorrectly, well, it will still be a remake of one of the world's best vampire movies starring one of entertainment's best on-screen monsters.